Bullying is about the abuse of power. Children who bully abuse their power to hurt others, deliberately and repeatedly. They are often hot-tempered, inflexible, overly confident, and don’t like to follow rules. Often they lack empathy and many also like inflicting pain on others. They often seek out to dominate and control others. They perceive hostile intent where there isn’t one. Overreact aggressively to ambiguous situations, and hold beliefs that support violence. In the preschool years, bullies often use direct verbal bullying and physical power to control material objects or territory. They may not have the skills necessary to interact in socially appropriate ways. In the elementary school years, bullies are more inclined to use threats and physical force. It is also combined with direct verbal bullying, to make victims do things that they do not want to do. During this time period, some children may begin to use indirect bullying to exclude peers from their social circle and activities. In the middle and high school years, bullies rely on direct verbal bullying such as name-calling and making threatening remarks. 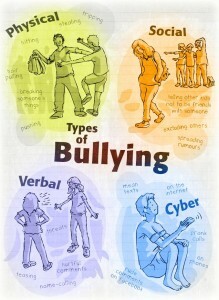 Quite often this includes physical bullying such as pushing and hitting. Both boys and girls engage in physical bullying. But unlike boys, girls are more likely to participate in indirect, relational bullying, that often includes rumor-spreading and social exclusion. Use of the Internet or cell phones to send these hurtful messages takes a lead role. Boys during this time tend to rely on bullying to enhance their physical dominance, girls tend to use it to enhance their social status. Children also bully in groups. Children may join in because they look up to the bully and want to impress him or her. Often though it is because they are afraid and do not want to be attacked themselves. Besides hurting others, bullies hurt themselves. Each time a bully hurts another child, they become more and more removed emotionally from the suffering and pain of their victims. They begin to justify their actions to themselves by believing their victims deserve to be bullied. They start to believe that the way to get what they want from others is through force. Bullies fail to develop the social skills necessary for sharing, reciprocating, empathizing, and negotiating. These items form the basis for lasting friendships. Some Adults who have been bullied as children may be more likely to allow their own children to bully others, thus raising a new generation of bullies. If Bullies can change these patterns of behavior before they become habitual and entrenched, will be less likely to suffer with these devastating and long-term effects . when When Bullying prevention strategies are applied early to children who are young or have just begun to bully others it is most effective —the earlier the better. It’s never too late to change a bully’s patterns of behavior. These habitual patterns are usually much more difficult to change in later years. Verbal bullying: When a person uses name calling, jokes about or offensive remarks about a persons religion, gender, ethnicity, appearance or socioeconomic status. Social bullying or Alienation: This is done by spreading fake news or doing wrong propaganda about something, disturbing someones positive activities or fight with friends. Often pointing out differences in others, excluding others from a group, and spreading rumors. 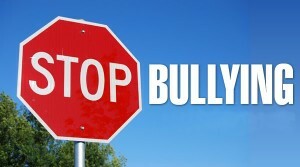 Physical bullying: In this type the victims body is physically hurt. This can be any physical contact that hurts a person using physical means such as hitting, kicking, thrown objects or punching. Cyber bullying: Spreading rumors or insults using emails, blogs, websites or social networks like Facebook, Twitter, Tumblr, MySpace, etc. This more than often includes sending pictures, messages or information using electronic media, computers and cell phones. There are also two other types of bullying that are often forgotten about but are just as harmful. Indirect Bullying: This is done by excluding others from a group, spreading lies, secrets, rumors or exaggerated stories about someone. Intimidation Bullying: These bullies use threats to frighten others.